Piggy Bank Savings Finance PowerPoint Templates And PowerPoint Themes 1012-Use this PowerPoint Template to elaborate the concept of money, economics, business, investment, backing, sponsorship, funding etc. Narrow them down and prove their viability to help your organization to achieve the quality and success required. You have noted down some very fruitful ideas that have occurred to you at random moments. Organize them all and prioritize them effectively. -Piggy Bank Savings Finance PowerPoint Templates And PowerPoint Themes 1012-This PowerPoint template can be used for presentations relating to-"Piggy bank isolated , Money, Business, Symbol, Finance, Security" Our Piggy Bank Savings Finance PowerPoint Templates And PowerPoint Themes 1012 don't have a fickle attitude. They adhere to their commitment and beliefs. 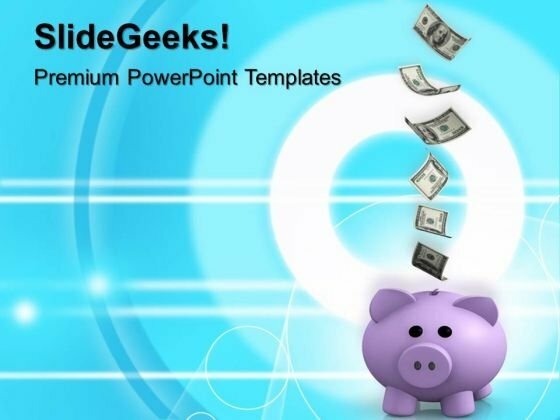 Collect prizes for presenting with our Piggy Bank Savings Finance PowerPoint Templates And PowerPoint Themes 1012. You will come out on top.